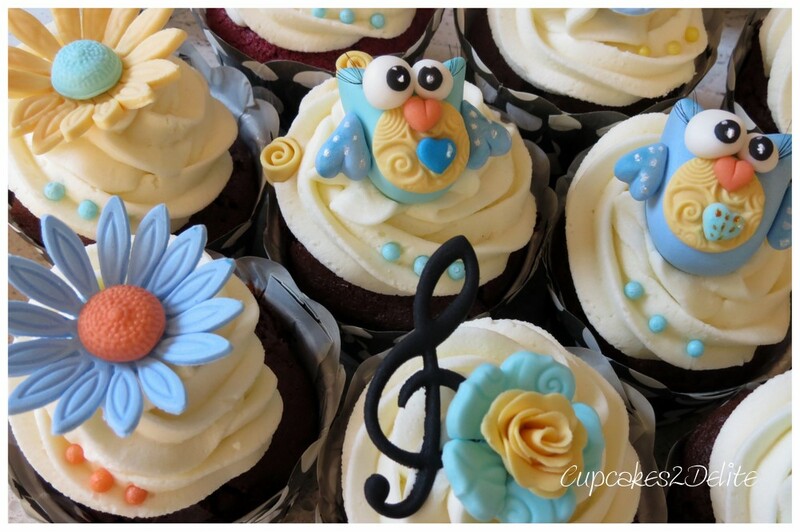 Kerry ordered cupcakes to surprise her sister for her 30th birthday and as she loves owls I made these tiny sugar paste owls in pale blue and yellow. For added detail I embossed a circle for their little chest and added a heart to each one. The wings are hearts onto which I hand painted white dots, Finally I gave them cute googly eyes with eyelashes. For the flower cupcakes I cut out embossed flowers using the easy rose cutter and added the rolled easy rose as the accent in the centre of each flower. 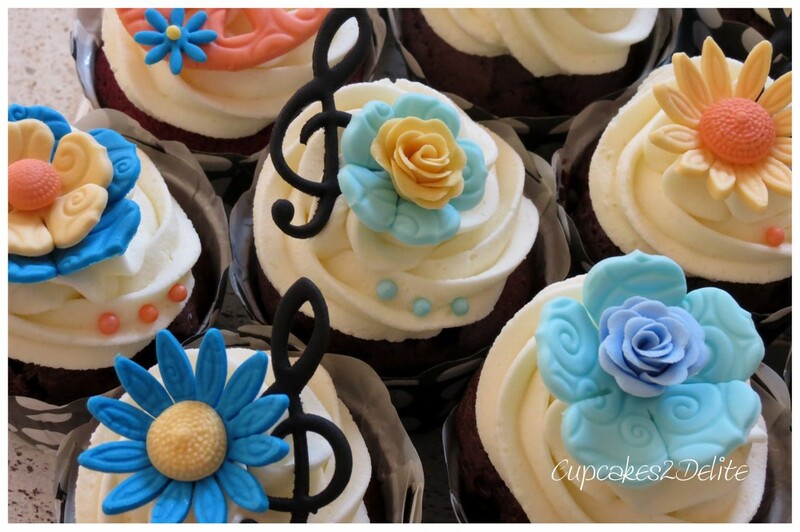 I also cut out blue and yellow daisies, peace signs and music notes to add to the cupcakes. I dotted the cupcakes with blue, yellow and orange sugar pearls to complete the colour scheme. 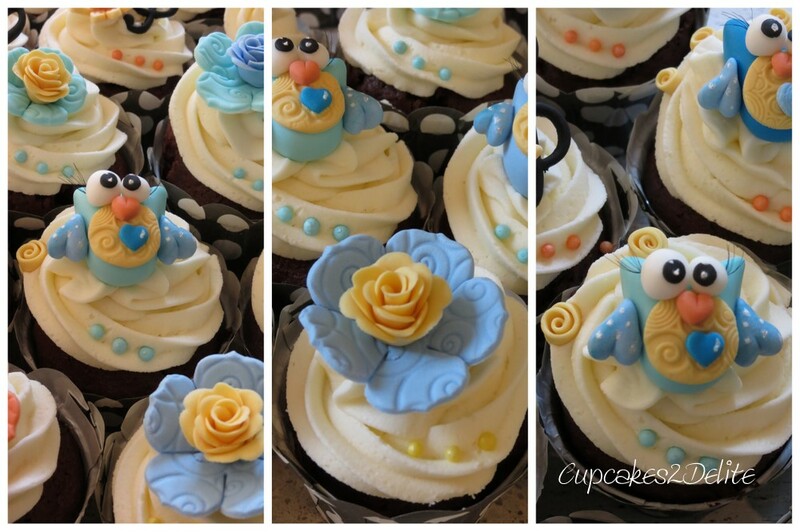 The facebook feedback from the guests was that the cupcakes not only looked gorgeous but were delicious too. Thank you again Kerry for your order and so excited that one of my very first clients trusted me again with such a fun order!